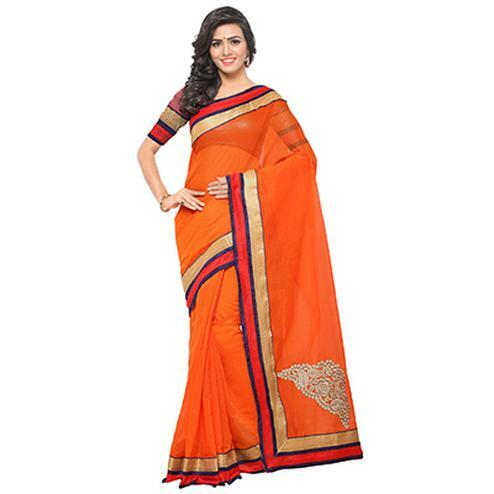 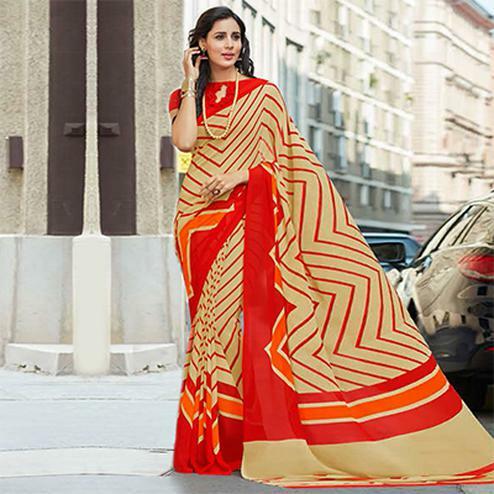 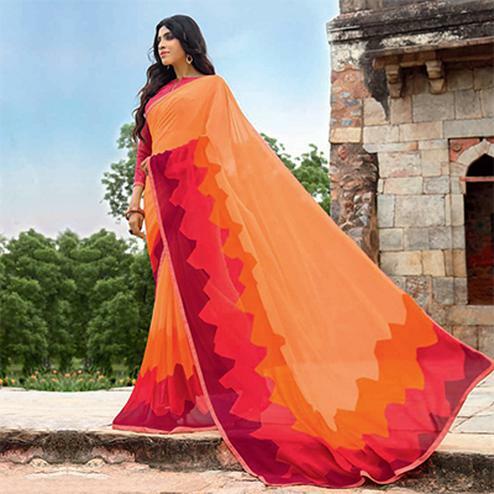 A must-have in your ethnic wear collection this orange-colored half & half saree with art printed skirt & stripe pattern lace work add-on more charm to your ethnic look. 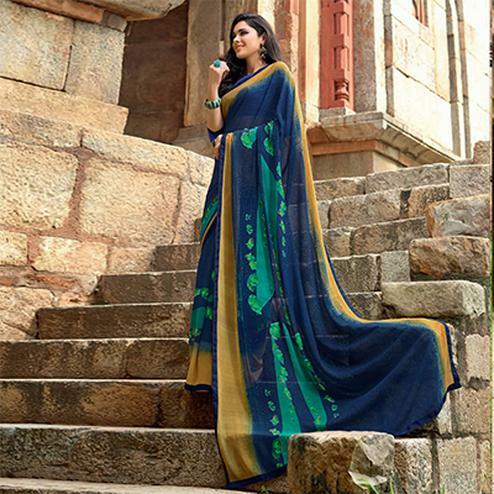 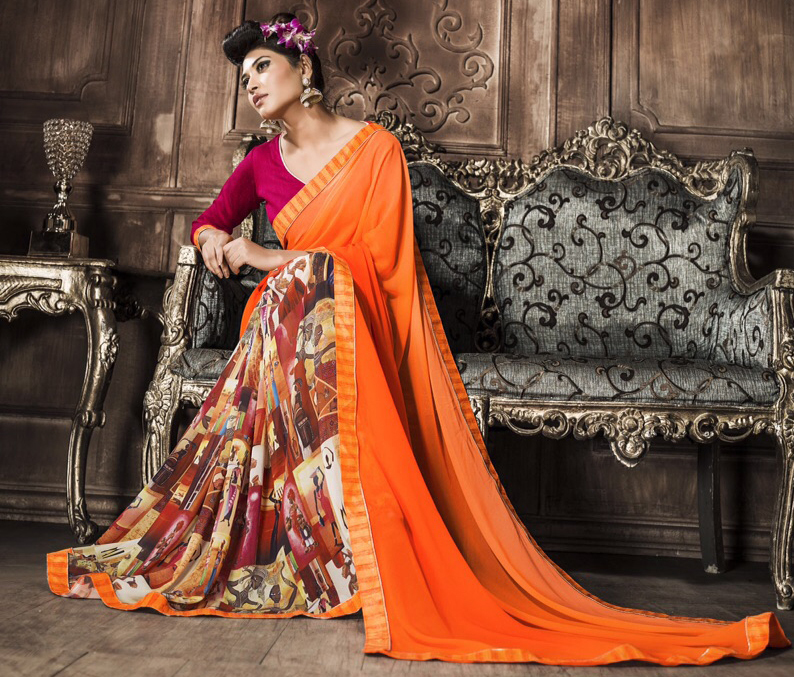 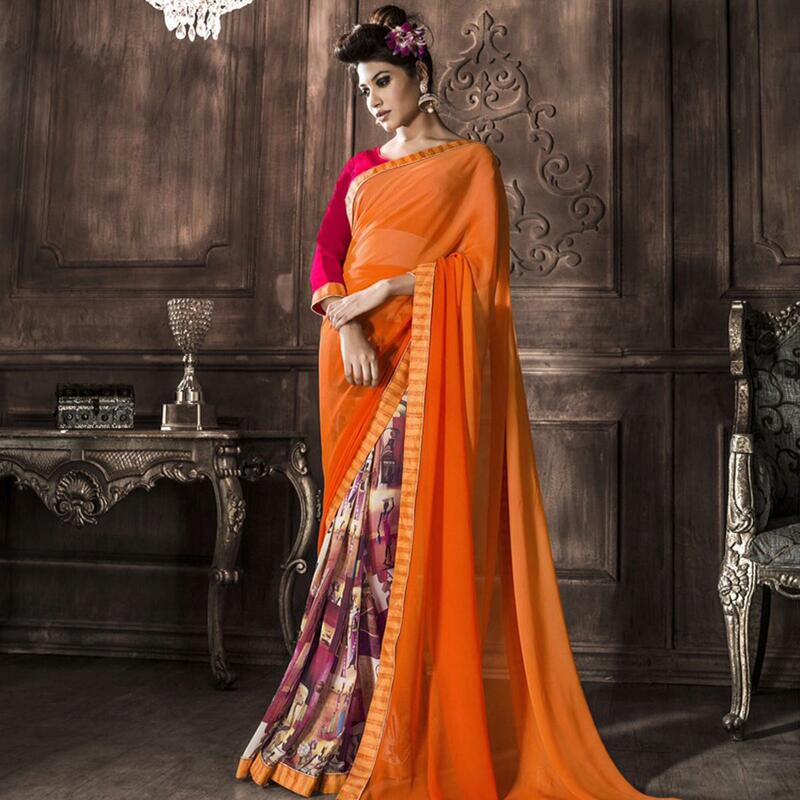 Blended from georgette fabric this designer saree is high on comfort. 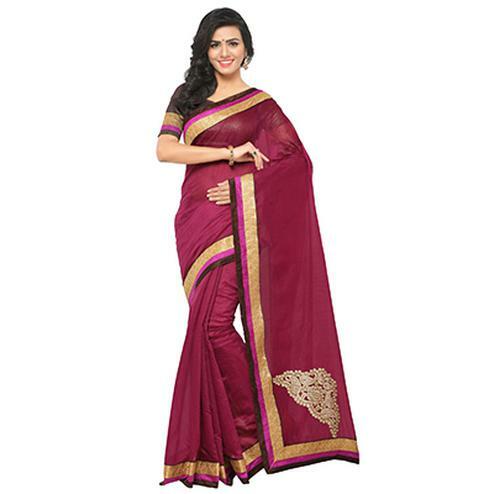 Saree accompanied with an unstitched blouse.